With stores that feel like walking through an extremely cheerful computer program, the clothing retailer Uniqlo has cultivated a design aesthetic that is consistent without being confining. Uniqlo’s design language is nothing if not systematic. Simple and modular, it is applied to every dimension of the brand experience. Limitless applications and absolute consistency: Uniqlo’s look and feel is more than just a logo, yet at the same time, it’s all about the logo. Can a system have soul? Yes, but it depends what kind of soul you want. Love it or hate it, this brand’s bright, youthful personality is probably launching at a store near you soon. 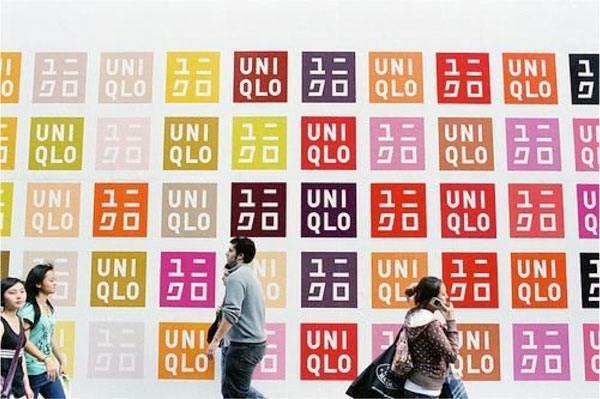 Uniqlo’s formulaic approach to fashion and branding has made it one of Japan’s biggest success stories. The brand started life as the Unique Clothing Warehouse in Hiroshima, 1984. Ten years later, 100 stores were operating across Japan. The brand’s "quality basics at an affordable price" have proven to be an irresistible draw for millions. Its design aesthetic has been a key part of its success. Uniqlo is a young brand, and its look and feel reflects that. There’s no hint of tradition or old-fashioned Japanese aesthetics in its bright, pop-culture identity, which feels more manga than zen. Yet it still feels recognizably Japanese in its simplicity and in its blend of styling and engineering. Nobuo Domae, the US CEO, explains how the brand embraces the Japanese concept of kino-bi, which loosely translates as the fusion of function and beauty. The clothing is presented in an organized, rational manner, and that very organization and rationality creates an artistic pattern and rhythm. All these qualities reflect the defining characteristics of modern Japanese culture, modern "Japaneseness." Walking into a Uniqlo store is like walking through a computer program. A bright and cheery computer program. Everything feels ruthlessly modular. Everything is systematized, logical and rational. In design terms, the entire experience — both graphic and spatial — is descended from the single building block of the red logo. From the store exterior to the visual merchandising; from the product lineup and shelving displays to the packaging; the Uniqlo squares are everywhere. The brand’s look and feel directly reflects the brand idea, while also acting as the visual glue that holds it together. It’s absolutely consistent, but it’s far from a visual straitjacket. Paradoxically, it’s the single-mindedness of the system that permits creativity. It can flex and change across media, allowing the brand to feel fresh yet familiar, constantly reviving itself within predefined parameters. For the Japanese, form and function are not two opposing forces that need to be balanced. They are simply two sides of the same coin. Perhaps that’s why this brand manages to reconcile systematic logic with vibrant creativity. You can have any color of polo shirt at Uniqlo, as long as it’s one of 80 available tones. 1. All Uniqlo stores have a poster in the manager’s office that reads: "Always follow company direction. Do not work your own way." 2. Every Uniqlo shop assistant must memorise six phrases and be ready to recite them to all customers as they meet them in the store. They are: 1) "Hello, my name is [name], how are you today? ", 2) "Did you find everything you are looking for? ", 3) "Let me know if you need anything. My name is [name]", 4) "Thank you for waiting" and 5) "Did you find everything you are looking for?" 6) "Good-bye. We hope to see you again soon." The repetition at 2 and 5 is not a mistake; every customer is supposed to hear it twice. 3. The first US celebrity to endorse Uniqlo products was OJ Simpson. 4. In 2009, the company’s low-profile owner, Tadashi Yanai, bought a pair of socks from a Uniqlo store in Tokyo. Later he realized he hadn’t been given staff discount as the sales assistant hadn’t realized who he was. He called the customer helpline and got his money back. 5. Uniqlo’s offshoot brand, G2, allows people to wear the clothes out of their Tokyo store before coming back to buy them. 6. Tadashi Yanai likes to start work at 7 a.m. and finish at 4 p.m. in order to see his wife and practise his golf. He has a mini golf range in his Tokyo back garden. Katie Ewer is strategy director at JKR Global in Singapore. Answer: There’s no truth in the juicy gossip at 3. O.J. Simpson has had nothing to do with Uniqlo.